I can't even put into words how much value I find in family. Family dynamics and traditions are things that I hold so dear, and I love hearing about other families' traditions! 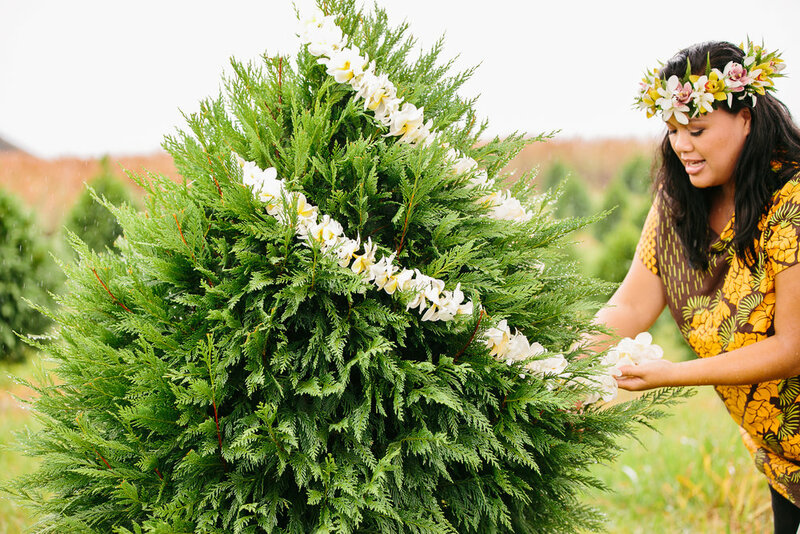 When Elena booked her session with me at Ho'oluana Christmas Tree Farm, she shared her vision for the shoot with me. Her family owns one of the oldest, most trusted lei stands in Hilo called Ah Lan's Lei Stand. 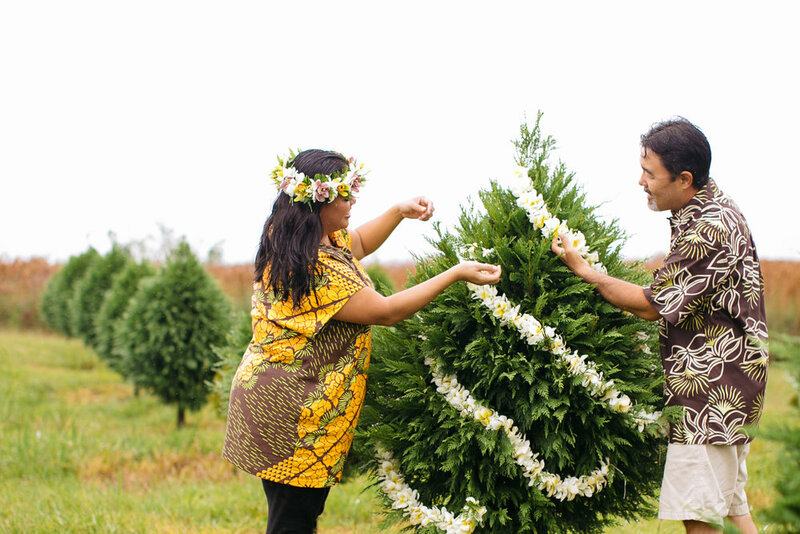 They are infamous for their fragrant maile and puakenikeni lei as well as orchids and haku lei. If you're from Hilo, you know what I'm talking about- everyone knows they can rely on Ah Lan's. Her vision: her family sitting next to a Christmas tree, making a long, plumeria lei to dress it with. I mean COME ON! Just as I thought it couldn't get any more special, she shared that the family's attire for the session also held meaning. In her own words: "The outfits we wore were from Sig Zane Designs, I love the print because it reminded me of the lei stand and my ohana. Growing up we all had to do our part to help in our family business. So on the weekends we would go to the forest to gather ferns, liko, lehua, and other foliage for lei-making. Although a lot of the times as a kid I would've rather played, our family obligation to the business forced us to create an awesome family bond of working together. So the print I chose is more of a humble reminder of where I came from, the values that I come from, and the legacy of what my grandmother and parents have left behind." HOW SPECIAL IS THAT?! As you can see in the pictures, many of the foliage she mentioned are printed on their clothing. I am so honored that I was able to capture this family and their traditions and love. So much so, that I asked Elena if I could share a little about her family's history in lei making. She shared so much with me, and it is so beautiful that I want to share it with you. Elena shared that she has been making lei for as long as she can remember. When she was a little girl she and her siblings were tasked with picking blossoms and foliage from the forest, and then prepping them by plucking off the stems and things as such. I giggled when she said "Put it this way, my toys were flowers, a needle, and some string. My mom gave us creative freedom and it kept us busy and out of her hair!" Ah Lan's Lei Stand has a long history in Hilo. The business was started over 60 years ago by Elena's grandmother Rebecca Tim Sing at the old Hilo airport. She shared that her mother was the only girl that her grandparents had. 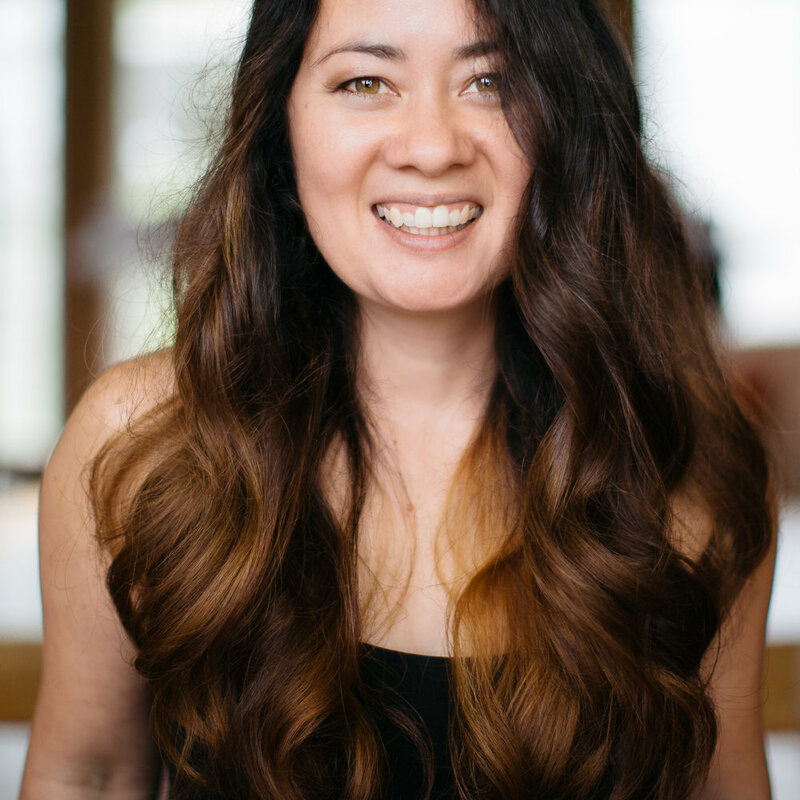 When the current Hilo International Airport opened up, her mother renamed it Ah Lan's Leistand and carried Elena's grandmothers legacy unto them. Elena is a third generation lei-maker. 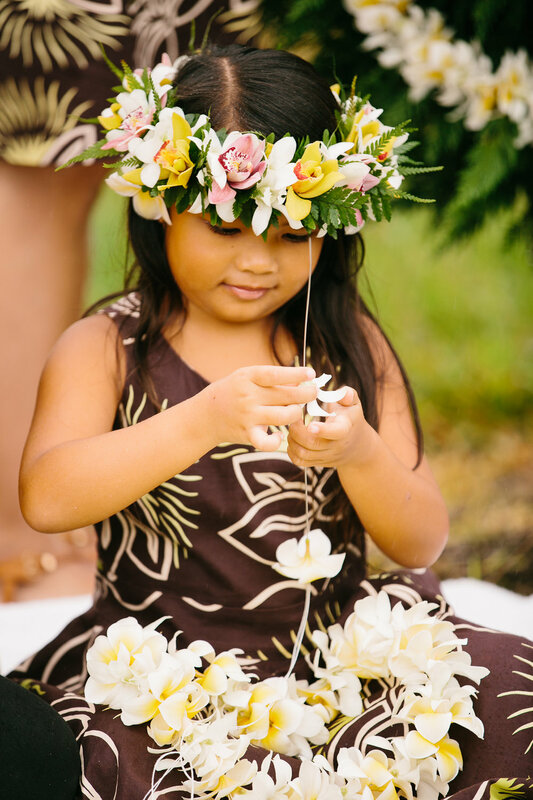 Today they now have babies in their 'ohana that are 5th generation lei-makers. Finally, she shared the MOST important component of lei making: your heart. "You must make a lei with good energy. A lei is a makana (gift). It is a symbol of unending love and aloha. As long as your lei carries this energy that's all you need." BOOM. If you ever get a lei from Elena or Ah Lan's Lei Stand, you can GUARANTEE that it was made with the utmost of love and aloha... literally.